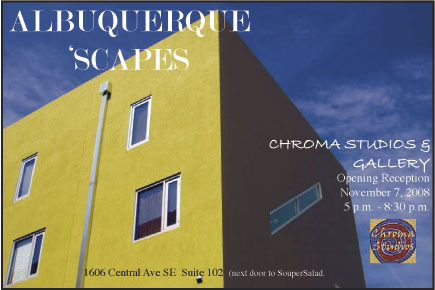 In November we are featuring a show of Albuquerque Photographers. Our featured artist for the month is Susan See, also included in the show are Jean O’Neill, Raine Klover, Kirk McGee, Dawn Allynn, Nick Giannotto, and a couple others. If you are in the area, please stop by for our opening reception on November 7th from 5-8:30 pm. This video was taken at our October First Friday opening by Rocco, a fitness expert that has recently moved to the Albuquerque area. I met him thru the local social networking site Duke City Fix and attended his Boot Camp training class last month. He has been featured as a personal trainer on the MTV show “Made” and is currently working on a reality show of his own for the MTV network.